How are you planning to strengthen your client relationships in the new year? Effective collaboration as a client-service wealth team helps your clients trust you, creates better client retention, and yields greater opportunities for placement of appropriate products and growing assets under management. Many financial advisors see estate planning as a tax-focused discipline. However, estate planning encompasses much more than just tax planning. It provides a great client service, deepens relationships with clients, and can be an integral part of retention. This is especially true now that technology is ushering in a new wave of robo-advisor services. Nothing beats a human team of highly-skilled professionals furthering a broad spectrum of client needs and goals. Building the perfect team is as simple as huddling with an estate planner, a trusted CPA as a tax advisor, and a financial advisor. Like any team, each player has a role. The financial advisor facilitates the growth of the client’s wealth, while the estate planner acts as a legal risk manager, and the CPA acts as a tax optimizer. Between the three of us, your clients will quickly realize the convenience and peace of mind that comes with having a group of collaborators communicating efficiently on their behalf. Depending on the particular client, we may need other teammates too, perhaps an insurance advisor for clients with life insurance needs or a business coach or consultant for business-owner clients. Like a game-time huddle, this doesn’t have to be a multi-day summit. This could be a 10-minute conference call for some clients. For others with greater assets and financial complexity, it may consist of a series of planning meetings to develop tailored solutions that leverage legal, tax, and financial strategies. Bottom line: when we effectively collaborate, client satisfaction and retention is improved. Working with us can help your clients enjoy better legal risk management. We can minimize the risk of costly, asset-dissipating conservatorship, guardianship, or probate proceedings, and help make client’s wealth less attractive to creditors and predators. Proper estate planning helps clients feel secure that their wishes will be honored and that what they’ve worked hard to accumulate will go to their intended beneficiaries. 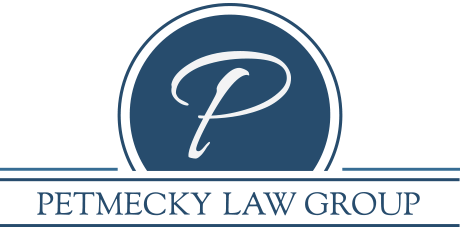 Estate planning is a savvy legal risk management strategy, something that anyone of means needs. When our mutual clients relax knowing that we’ve coordinated the plan so everything falls into place, client satisfaction also increases, leading to better longevity in the relationship and additional referrals. We can also deepen our relationship with some clients who may benefit from a range of other opportunities like charitable strategies, better risk management for rental or other assets, or placement of insurance for liquidity or other reasons. In each of these cases, there’s the potential of immediate revenue and enhancement of client value. Are you ready to build your clients’ financial dream team in 2018? Get in touch with us today.